Ahlen, December 2015. 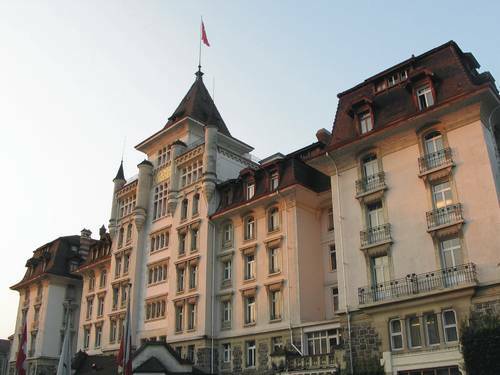 – The Hotel Royal Savoy in Lausanne combines a glittering Belle Epoque past with a luxurious present. 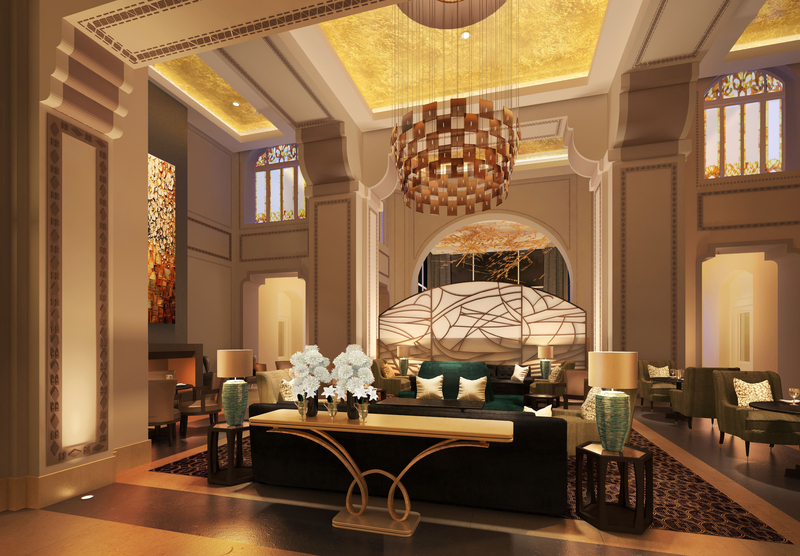 Following five years of renovation and upgrading, the venerable luxury hotel reopened on 1 November, launching a new chapter of its illustrious history. 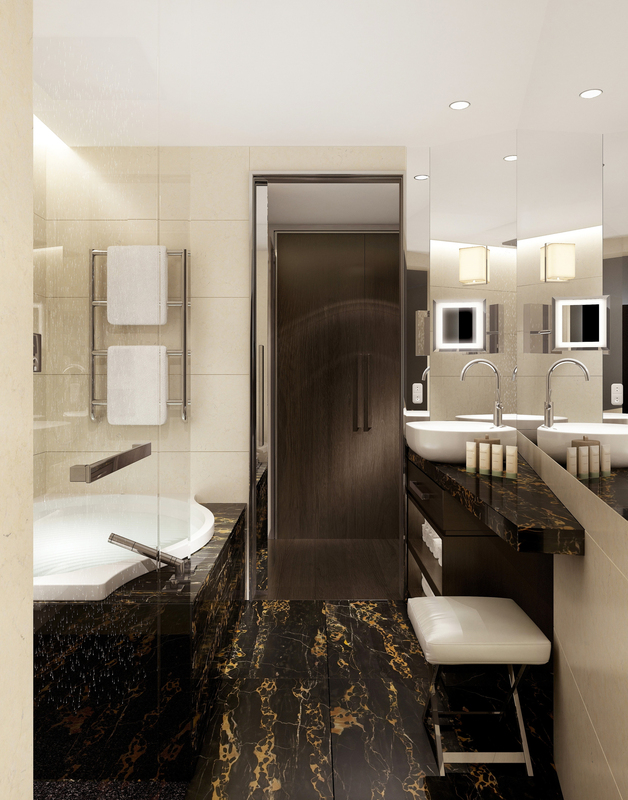 Exclusive design and superb quality are also evident in the bathrooms which feature Kaldewei Duo Pool bathtubs. Built in the Swiss hotel tradition of the “Grand Château”, the Royal Savoy has been a Lausanne landmark since 1909. Striking a harmonious balance between contemporary elegance and vibrant history, the 5-star hotel exudes sophisticated hospitality. The luxurious property with a breathtaking view of Lake Geneva extends across a total area of over 10,000 square metres. The historical building with its unique landscaped grounds has now been harmoniously complemented with a new building in modern design. The grand interior is a compelling mix of Art Nouveau and Neo Baroque and is appointed with impeccably crafted fine furniture and materials throughout. When it came to fitting out the bathrooms, stylish and high-end product solutions, distinguished by their longevity and excellent quality, were also required. Managing Director Bruno Schöpfer chose the minimalist design of the Duo Pool bathtub from Kaldewei which was subsequently installed in the Royal Savoy’s 148 bathrooms. Manufactured from superior Kaldewei steel enamel, the Duo Pool captivates with the fascinating interplay between the interior and external lines. With a generous depth of 50.5 centimetres, the Duo Pool permits relaxed immersion in the bathwater, despite the small external dimensions. Maintenance is even quicker too, as all Duo Pool bathtubs feature Kaldewei’s easy-clean finish. Kaldewei is the perfect partner for hotels with high standards of design and quality. The premium manufacturer’s products are persuasive not only because of their exclusive design which even after many years loses none of its timeless elegance, but also thanks to the outstanding material properties of Kaldewei steel enamel. This material is so robust that even with intensive use and cleaning the surface shows no trace of wear-and-tear. Exceptionally good hygiene properties and easy, quick cleaning make products made of Kaldewei steel enamel the ideal choice for hotels. As such the Kaldewei brand offers hoteliers and investors aesthetic and safe product solutions with a 30-year quality guarantee. Striking a harmonious balance between contemporary elegance and vibrant history, the 5-star hotel exudes sophisticated hospitality. The luxurious property with a breathtaking view of Lake Geneva extends across a total area of over 10,000 square metres. The historical building with its unique landscaped grounds has now been harmoniously complemented with a new building in modern design. The grand interior is a compelling mix of Art Nouveau and Neo Baroque and is appointed with impeccably crafted fine furniture and materials throughout. When it came to fitting out the bathrooms, stylish and high-end product solutions, distinguished by their longevity and excellent quality, were also required. With a generous depth of 50.5 centimetres, the Duo Pool permits relaxed immersion in the bathwater, despite the small external dimensions. Maintenance is even quicker too, as all Duo Pool bathtubs feature Kaldewei’s easy-clean finish.